Earlier this month I was delighted to speak at a commemorative day at Tempsford, in Bedfordshire, being held in recognition of the RAF Special Duties Squadrons that delivered SOE's special agents behind enemy lines from the village’s top-secret airfield during the Second World War. Among the guests was Doreen Jeanette Galvin, nee Grey, a former member of the Women’s Auxiliary Air Force, better known as the WAAF. 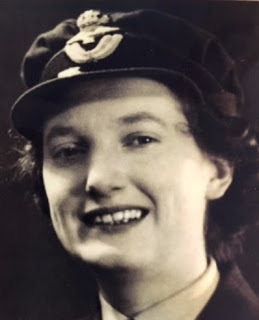 Doreen served as an Intelligence Officer at RAF Tempsford during the war. She now lives in Canada, and this was her first visit back to her wartime base. Finding a squashy sofa in the memorial hall, Doreen told me how moving it was to return to this tiny village, attend the service of remembrance, and see the beautiful memorial to both the female special agents who were dropped behind enemy lines, and the Special Duties pilots who flew them there. What I was not expecting was for Doreen to tell me how she had plotted the Second World War. 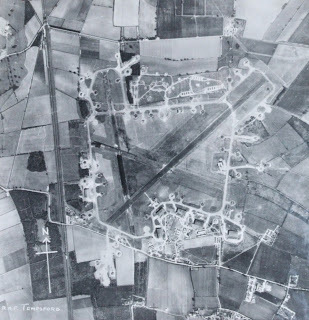 Not in an evil god-of-destruction way you understand, but as a WAAF processing data about aircraft movement provided by radar stations and observation posts, and plotting the changing positions of Allied and enemy planes on a map. 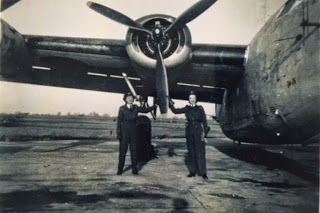 Doreen joined the WAAF in March 1941. Her family’s association with the British Air Force went back to the First World War, but it was not until the late autumn of 1940 that she decided to volunteer. The trigger was watching the Battle of Britain at close quarters from her south coast garden, which was on a steep hillside looking down to the sea. At one point the planes flew so low that she felt they might knock the television aerial off the roof of her house, and she threw herself into a ditch in the garden. When she looked up there were black crosses on each wing of a German fighter above her, which was followed by a Spitfire which shot it down into the sea. She knew then that she had to volunteer. Doreen’s first position as a plotter was in Liverpool, receiving aircraft information and translating it into representative counters moved across a large map. On her third evening she found herself plotting the course of an enemy plane. Soon more followed; it was the start of the Liverpool blitz. Nothing could have better brought home to her the vital importance of her work, and how essential it was to be accurate. 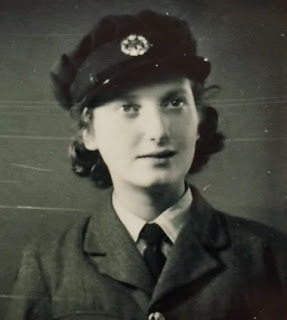 Doreen's long and often exhausting career eventually led her to a Commission interview with ‘a very frightening Squadron Leader’ and, as the result of her courage to refuse the more regular roles she was encouraged to take in admin, or codes and ciphers, either of which she felt would ‘drive me crazy’, she was accepted for Intelligence. Doreen was then trained as a Photographic Interpretation officer at RAF Medmenham in Buckinghamshire. Here she worked with Constance Babington Smith, known to all as ‘Babs’, who was ‘charming, not gushing, but she knew what she was doing’, as well as Sarah Churchill, the red-haired daughter of the PM, among others. Their role was to examine photographs and identify tell-tale troop movements, the build up of fleets and tanks, the creation of fuel and ammunition dumps, the construction and development of weaponry and key sites for military production and other bombing targets. Once, when particularly sensitive photographs and maps had to be examined, Sarah Churchill was segregated in the bathroom, with a 3-ply plank across the huge claw-foot bathtub on which to spread the pictures. She did not know it at the time, but she was working on images of North Africa. ‘We always used to say,’ Doreen told me with a laugh, ‘that for us, North Africa started in the bathroom’. Among a wealth of other material, including pictures of her family's former house in the Channel Islands (garden doing well, she noted), Doreen’s photographs provided early images of the German Messerschmitt 162 and 163 rocket planes. She also worked on photos of a series of ramps in northern France, all facing London. ‘It was obvious something was going to be shot off them’, Doreen said, but they couldn’t see what. Nearly two years later she was spending the night with a friend in Bromley when the first V1s to reach London ‘flew over the roof like an express train’. Wearing a hard hat on the early morning journey into work the next day she suddenly realized that these new flying bombs must be what she had been looking for at Medmenham. After a year in Aerial Reconnaissance, Doreen moved to Bomber Command, with an office next to the famous ops room. From there she became an Operations Officer at RAF Feltwell, in Norfolk. At times it was almost unbearable work. One morning twelve planes left to bomb a hydroelectric station, and just one damaged aircraft returned late that afternoon. 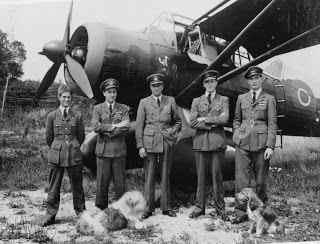 It was ten days before Doreen learned that she was in no way to blame for the high losses through any inaccuracies in her work - the planes had simply had the misfortune of coinciding with a Luftwaffe squadron. Finally Doreen was sent to RAF Tempsford to work as an Intelligence Officer, without yet knowing the operational nature of the secret little airfield. On arrival she was surprised to see the odd variety of aircraft of all vintages and sizes that operated from the airfield, including a number of old-fashioned Lysanders, affectionately called ‘Lizzies’, which she thought must have come from the previous war. The intelligence office seemed ‘very dull’, the maps ‘uninspiring’, and Tempsford struck Doreen altogether as ‘a mediocre station, full of left-overs, in a forgotten backwater’. Tempsford brought its own tragedies, although nothing quite on that scale, but also many lighter moments among friends who became very close. Here the WAAF Officers’ Mess was so close to the vicarage and the old stone church that one morning, after an RAF dance the night before, the vicar’s wife accused Doreen's friend of getting their chickens drunk. The hens had come wandering in unnoticed and drunk from the dregs of the slop bucket behind the bar. 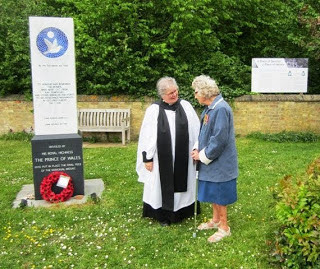 Last Sunday, after the morning of talks, Doreen visited Tempsford’s old stone church again, this time for a service of remembrance conducted by the Reverend Margaret Marshall (how times have changed), before laying wreaths at the memorial opposite. For Doreen it had been a moving experience to return to the village where she had spent so much of her war, and to see that neither the special agents, nor the brave pilots who flew them behind enemy lines, have been forgotten. 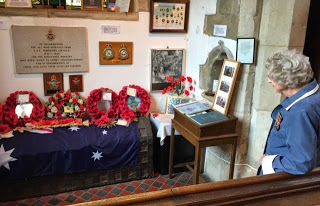 Not only are there beautiful memorials in the church and on the village green, but there are often events here which welcome everyone from family members who come to remember, to school children who may be hearing for the first time about the history of the village, the airfield, and the many brave people who once passed through. I am delighted that Doreen has written and self-published her memoirs, From Arts to Intelligence, available from Amazon in kindle and EPUB formats, and paperback. 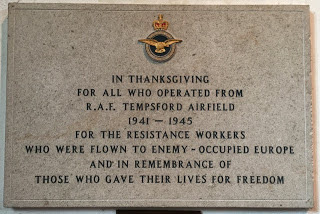 I should also mention that the very good Temspford commemorative event this May was organised by educational charity Secret WW2 for which, many thanks. Museums which have skeletons are the most scariest places for people of weak senses and heart. I am also one of them and i try to avoid those places.